To change your email address, first sign in to the Ning Network. Click the “Settings” link in the upper right corner of the page then and click “Change” next to the Email Address field. Next, enter your new email address in the first field. 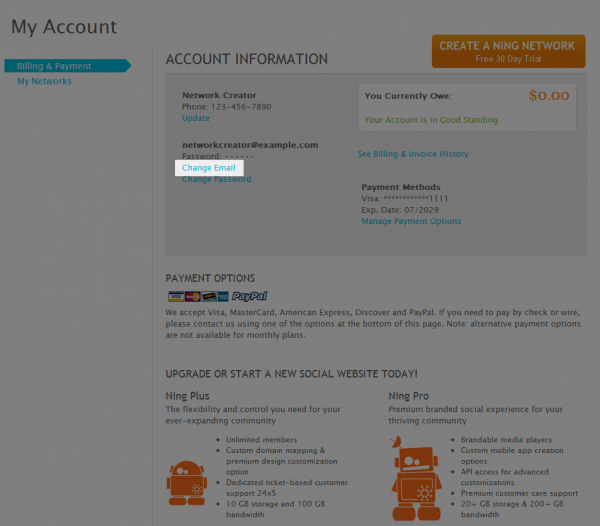 Keep in mind that you cannot change your email address to one that’s already been registered on the Ning Network. Confirm your email address and enter your current password, then click “Save” to make the change. Email addresses are specific to each network. That means that if you’re a member of multiple Ning Networks, changing your email address on one would not change it on another. You can alsoÂ change your email addressÂ on yourÂ Ning.com profile. Sign in to Ning.comÂ and click “Change Email” in the Account Information section. 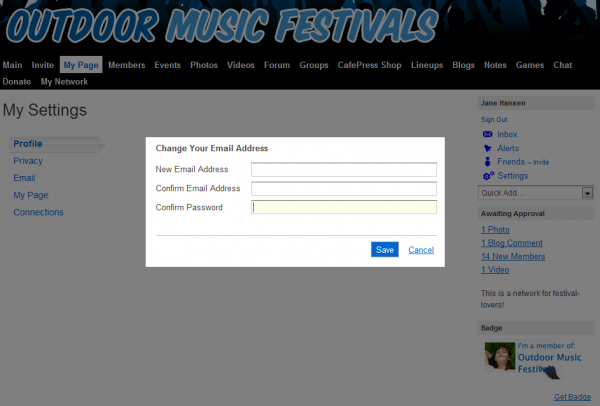 From here, just enter your new email address, confirm it, and type in your password to make the change.